Philadelphia City Council passed a bill on Thursday that would crack down on 'stop and go' establishments. The legislation, which passed through a 14-3 vote will change the licensing requirements for neighborhood stores that sell alcohol. Officials say that they are cracking down because many of the stores exploit the poor in the inner city by selling beer, shots and crack pipes, all while some children are in the store purchasing candy and other items. The state regulation requires the store to have accessible restrooms and seating for at least 30 people. Many local store owners are fine with the restroom and seating portion of the bill, but there is a part that could lead to the removal of the bulletproof partition at the cash register, which some store owners are not happy about. Temple University Police are now investigating after three posters with racist messages on them were found in three different locations on their campus. One of the posters was put up outside one of the residence halls where many students encountered it. The posters included foul language and racist slurs particularly against the school's African American population. The flyers called African American students "stupid," using the n-word and also included a line saying: "Bernie would have won if it wasn't for you, and this is all your fault." Temple University officials commented on the posters calling it a disgusting and hateful message: "it has no place on our campus." The investigation continues as to who put up the posters. 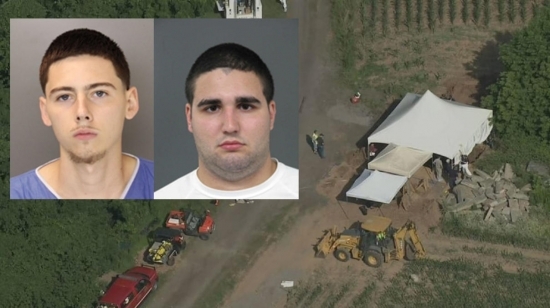 Cosmo Dinardo and Sean Kratz, the two cousins that have been charged with the deaths of four men who were found buried on their family's farm, both entered not guilty pleas during their arraignment on Thursday. Both men have been charged with numerous offenses including homicide, robbery and conspiracy. Officials say that Dinardo's not guilty plea was procedural, which gives him the option to stop cooperating with the investigation to maintain his innocence. Currently Dinardo is still cooperating with officials. Officials filed paperwork on Wednesday to reserve the right to seek the death penalty in Dinardo's case. However, Dinardo made a deal for complete cooperation with officials during the early stages of the investigation. Officials say that if they uncover any new evidence, or if he wishes to go to trial, then they will again seek the death penalty at that time. A similar deal was not made for Sean Kratz and there is still a strong possibility he could face the death penalty. No trial date has been set as of yet for both Dinardo and Kratz. The Sixers play the Thunder tonight at 7:00 pm. Today, Some possible light snow showers in the afternoon and a high of 33 degrees in Center City.